Take your camera and get out and explore the Florida Everglades. We have sensational, professional and knowledgeable Everglades Guide Services that will provide you with a lifetime of memories of the Florida Everglades. Everglades wildlife tours can be custom tailored for your needs. Double R’s Fishing & Tours can even provide combo – fishing, shelling and Everglades sightseeing excursions. The adventure below in from Everglades National Park. 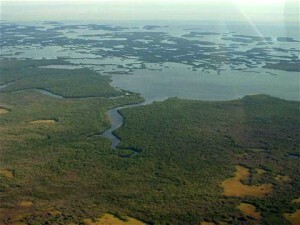 The beautiful Shark Valley empties into the Shark River in the Ten Thousand Islands. 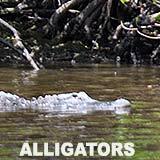 The video below provides and example of some of Florida Everglades wildlife you are likely to encounter. To feature your Florida business, contact us. The 10,000 Islands of southwest Florida is comprised of hundreds of miles of mangrove swamps and shell mounds of distant past generations. Fishing in the Everglades is world-famous. There are more 100 different species of fish that live the waters of the Everglades and associated rivers. Contact the Everglades fishing charter captains above provide experienced Everglades Fishing Charter Services, ask about current tides, charter rates and schedules.